Q. Could you supply ear plugs? Thank you for completing a Library ‘You said, we did’ card and please accept my apologies for the delay in getting back to you. I’m sorry to hear you were disturbed by music coming from Lower College Lawn – looking at the date on your feedback this will have been the Charity Fashion Show. 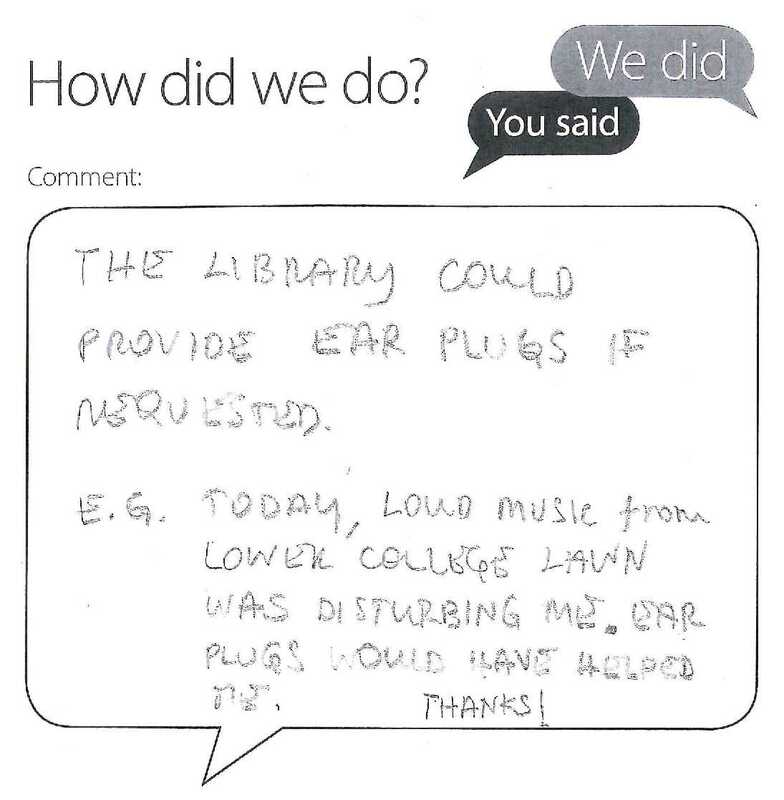 Such events, where noise affects Library users, are few and far between and we have to accept that the Library, in its central location, is a hub in a busy and vibrant University community. We would (and have) considered ear plugs as a promotional item but it’s not something we would provide on a regular ongoing basis for our users. External noise is not normally an issue and a pair can be purchased at low cost in local shops. Please do not hesitate to get back to me if I can be of further assistance.